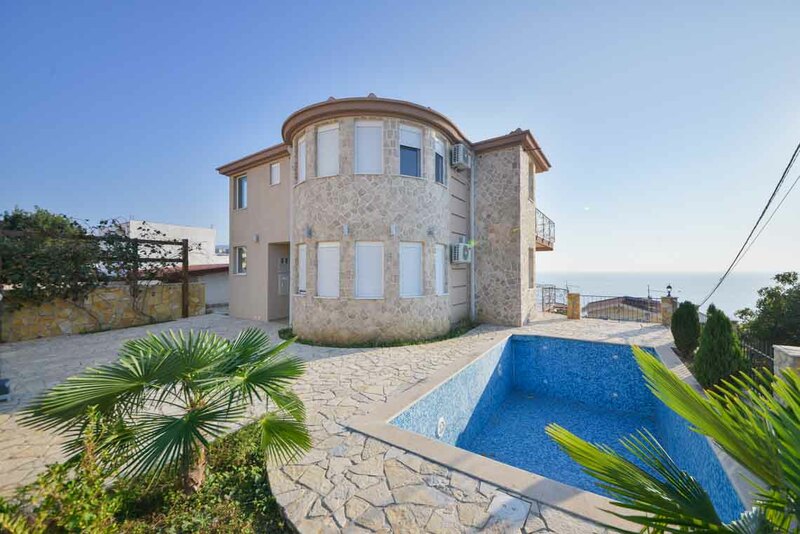 Fully furnished three-bedroom stone vila in Dobre Vode, area of Bar. 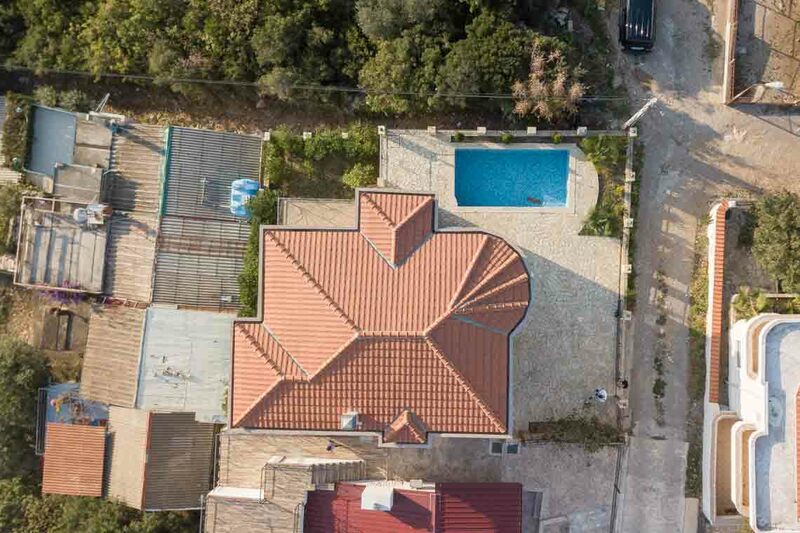 The villa comprises three floors totaling 330 sq m and sits on a plot area of cca 305 sq m in size. 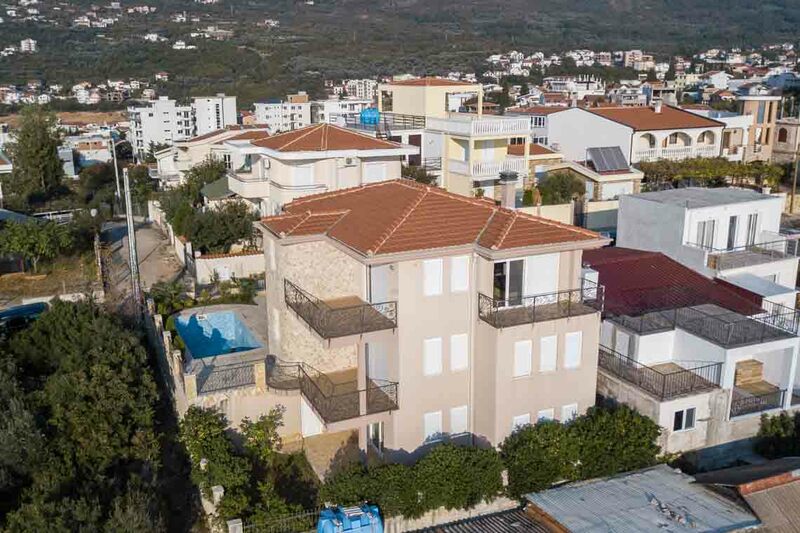 The ground floor contains one studio apartment of 75sq m divide into: a spacious living room with dining area and kitchen, a bathroom and yard with citrus trees and a view of the sea. 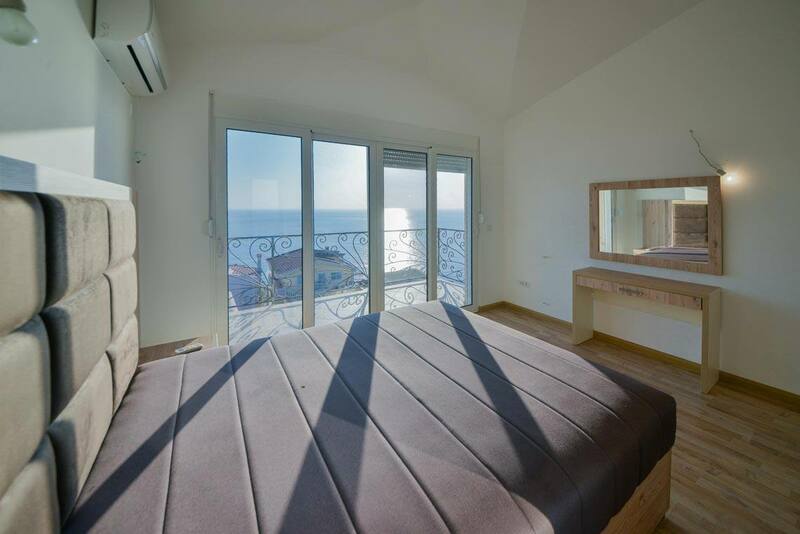 The first floor is intended for daily activities consisting of a living room with dining area and kitchen, a bathroom, sea-oriented terrace and one bedroom. 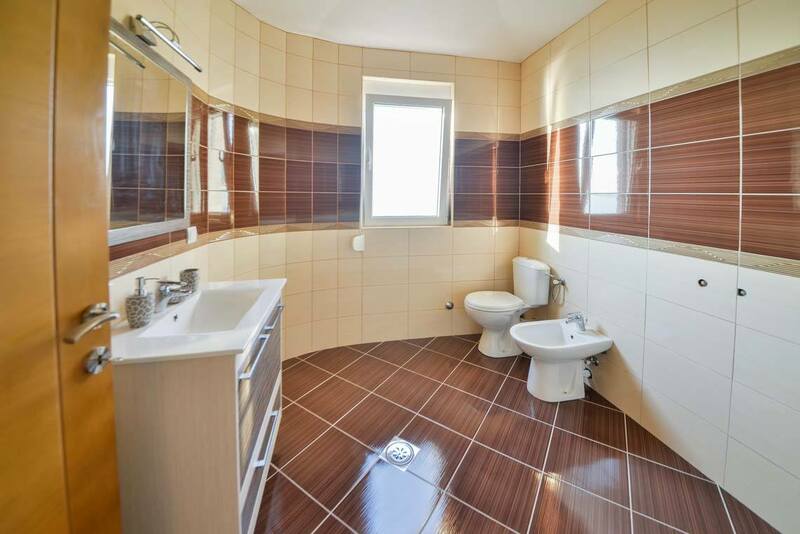 Sleeping zone is on the second floor and is very commodious with its three bedrooms and a bathroom. 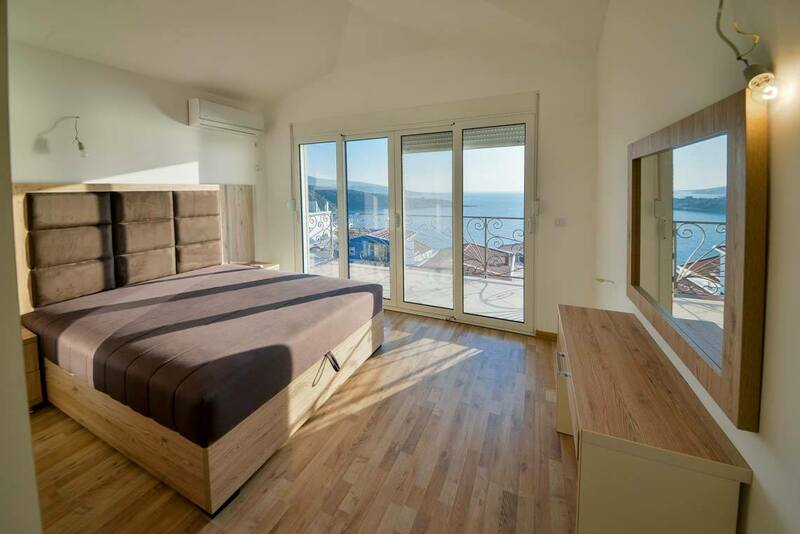 One of the three bedrooms is with en-suite bathroom and two of three bedrooms have an unobstructed sea view and an exit to the terrace area through double glazed doors. 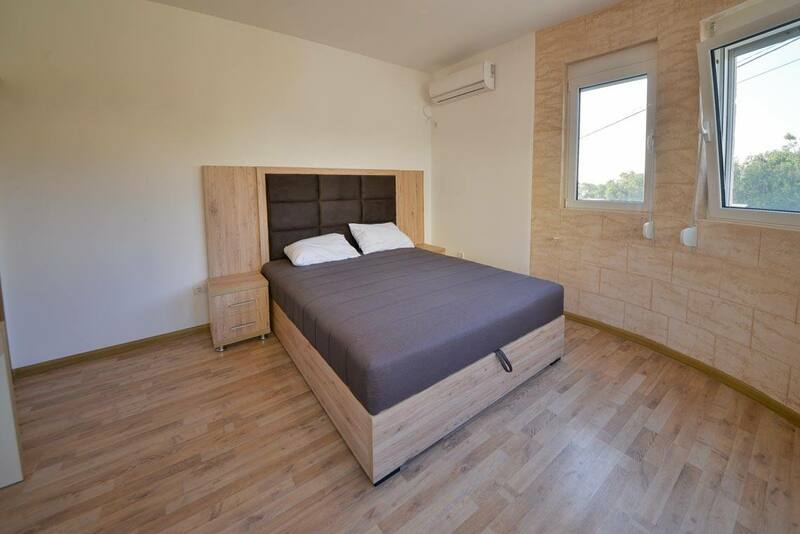 Bedrooms are spacious with wooden floorings, AC-units, large floor to ceiling wardrobes and two sleeping places provided by double-bed. Interior design is a combination of modern elements and traditional material. 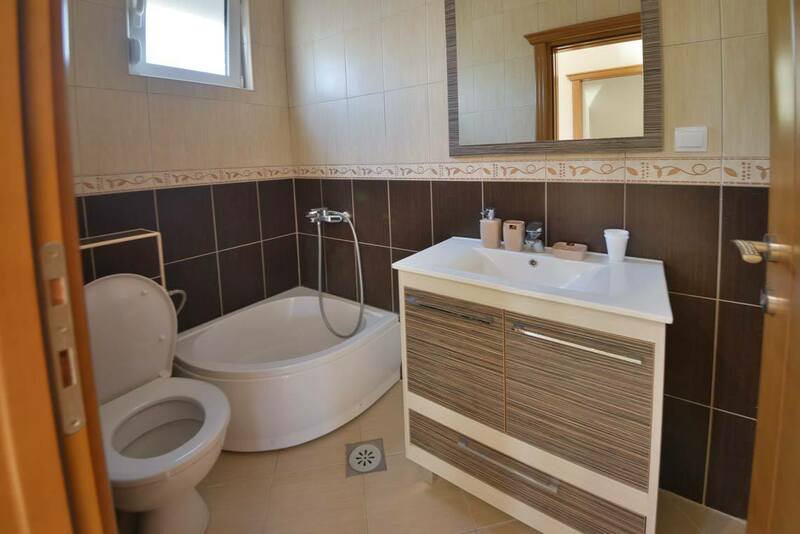 The bathroom features beige- brown wall and floor ceramic tiles and is fitted with contemporary sanitaria and a bathtub or shower. 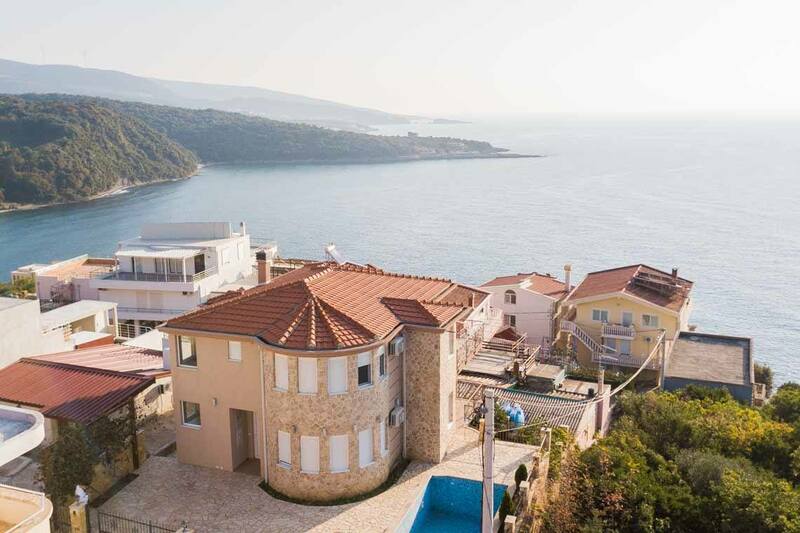 In front of the villa there is a swimming pool and a large terrace with stunning panoramic sea views. Thanks to its size, modern-day design and high-quality appliances, this residence provides comfortable life for a big family with liability to accommodate quests. Bar is rightfully considered one of the sunniest places in Europe with 270 sunny days a year. Water temperatures around 24-26 degrees and endless olive and fruit groves make this city a unique location for relaxing and rejuvenating vacation. 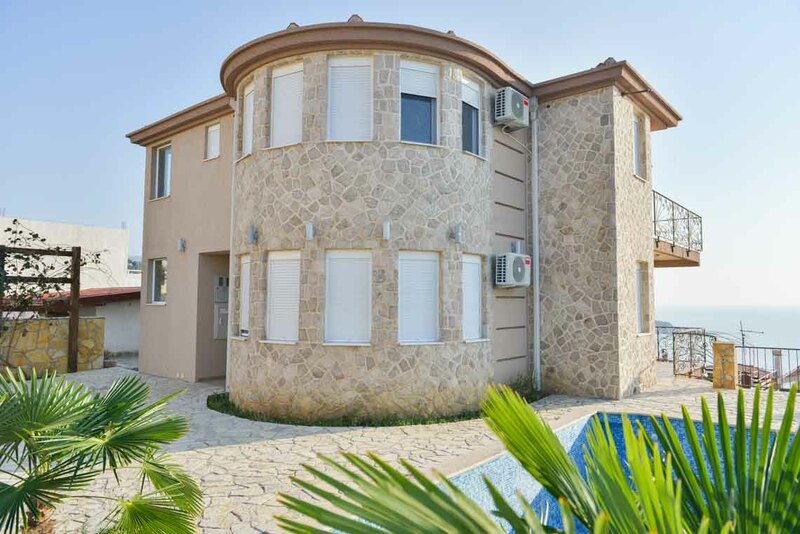 Home to the biggest port in Montenegro, Bar represents an affordable destination for holiday-makers and homeowners but still largely occupied, in the winter months as well as the summer season months. 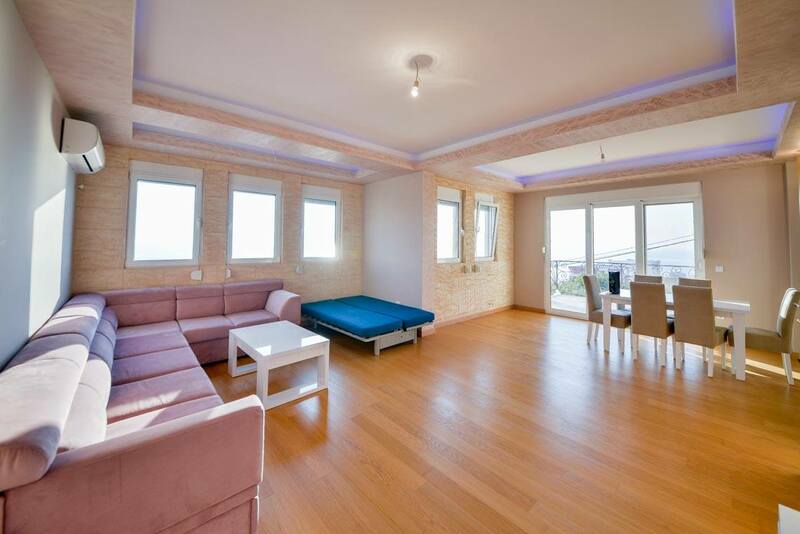 One-bedroom furnished apartment in Bar situated in a relatively new residential building in Utjeha district. 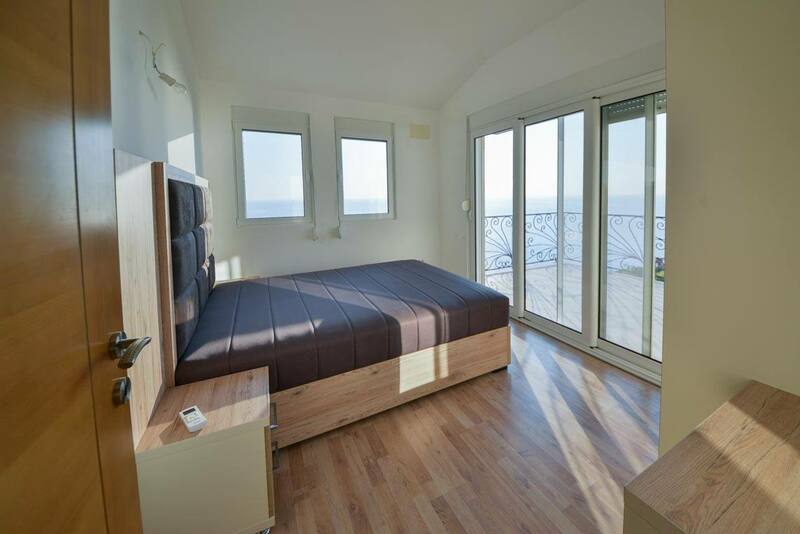 It is located on the fourth floor, just five minutes or 500 m from the sea.